As soon as you enter the lush, botanical surroundings of the startlingly beautiful Al Barari, it is hard to imagine a more realistic interpretation of your dream location in which to make a home. This transfixing green nirvana immediately envelopes your entire mood with a sense of tranquility and relaxation that seems a million miles away from the hustle and bustle of everyday life. Al Barari is, at its heart, a secluded villa community that will offer a unique living experience in Dubai. By seamlessly blending into nature, the masterminds behind Al Barari have created a modern oasis that appeals to our most luxurious ideals. From exotic foliage to shimmering waterways, the surrounding landscaping is unequalled in Dubai. The Al Barari community fulfills the ‘wilderness’ concept that it is named after whilst still retaining a distinguished air of luxury that will cater to the most discerning tastes. 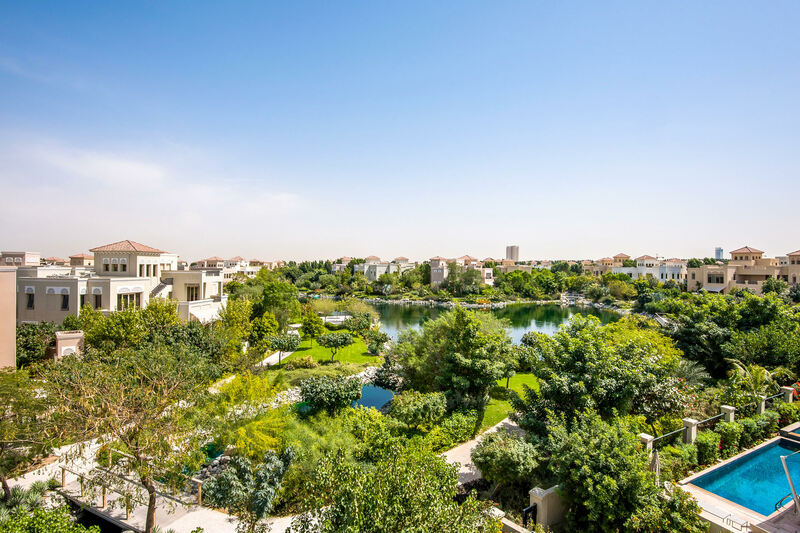 More than 80% of the Al Barari development is devoted to open spaces, landscaped gardens, lakes and waterways, walking tracks and superb community facilities that include the delectable restaurant The Farm and a destination spa and wellness Health Club. 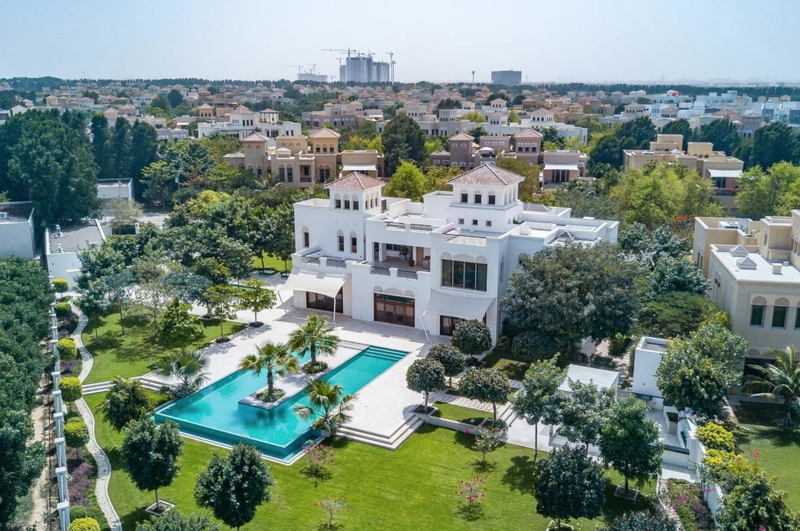 A blend of elegance and comfort, the Al Barari villas offer luxury property in Dubai that matches the standards of Emirates Hills, Dubai’s most exclusive community. The villas are named Bromelia , Acacia, and Dahlia. Buyers can browse between the original, floral-inspired palatial villas of The Residences, the skyline views offered by the luxury apartments of Seventh Heaven or the low-density variety of Ashjar, the contemporary villas of The Nest or the bespoke residences of The Reserve that are utterly catered to your needs. A blend of elegance and comfort, the villa homes boast state-of-the-art appliances, superior fittings and the most luxurious of finishes. Commanding a prestigious location within the royal quarter of Nad Al Sheba, this master-designed community overlooks the protected wildlife reserve and the palace of HH Sheikh Maktoum. The ideal location provides a feeling of seclusion without ever being isolated. Sheikh Zayed Rd, DIFC, and the airport are only minutes away, with direct access to the Sheikh Mohammed Bin Zayed Road. If you are looking for the secret to a happy life and the catalyst to living a lifestyle of chic, refreshing luxury, you have found it at Al Barari. If you are looking for the secret to a happy life and the catalyst to living a lifestyle of chic, refreshing luxury, you have found it at Al Barari. There is something truly decadent about finding a luxury home in the desert, with year- round sunshine, that also happens to be location in the garden equivalent of a nature reserve. 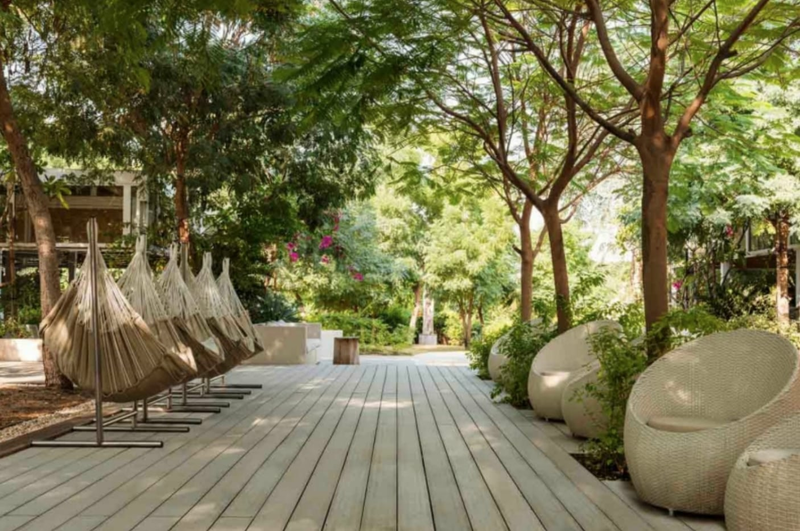 Waking up in your luxurious property to the sounds of a babbling brook and traversing the beautifully landscaped walkways ornately decorated with blooming flora and fauna as you head to The Farm for Saturday brunch could be the ultimate in Dubai living.